Here’s how to plant bare-root bulbs for dramatic winter-brightening blossoms. 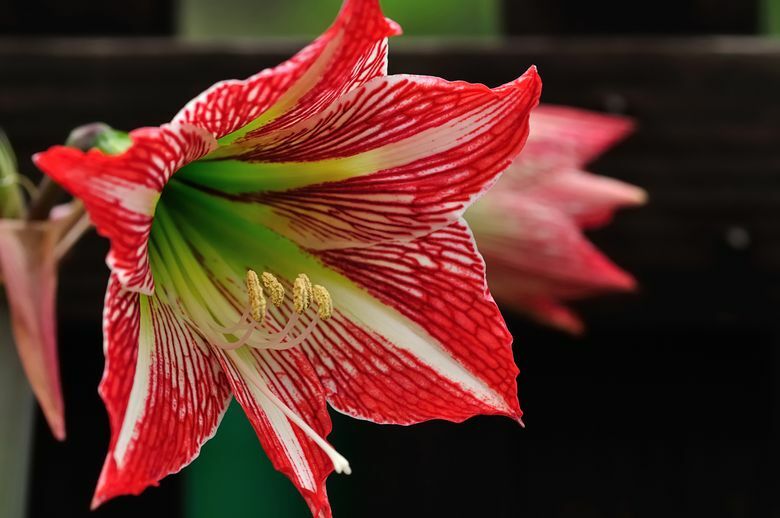 IT’S NO WONDER that red-and-white and candy-cane-striped blooming amaryllis are such popular holiday plants. 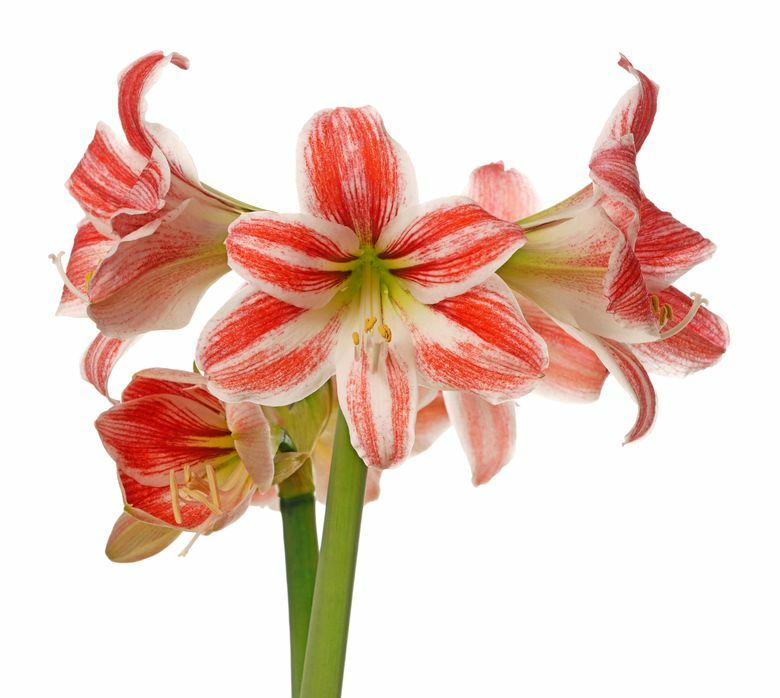 Wrapped in foil or presented in humble terra-cotta, a blossoming amaryllis makes a beautiful gift and a refreshing change from yet another gift card. But, ever the gardener, I prefer buying the far-less-showy bare-root bulbs and growing my own. 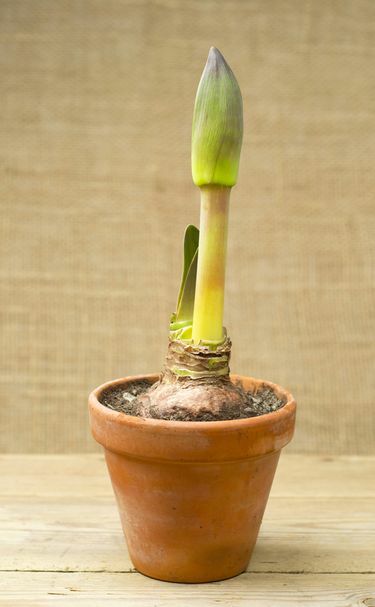 Potting up a gnarly bulb the size of a small grapefruit and bringing forth a blossom as dramatic as an amaryllis — in midwinter, no less — sounds daunting. But it’s easy. Purchase bulbs now for the best selection, choosing among varieties in shades of pink, white, red, rose, peach or orange in solids, stripes or mottled variations. Bigger is better. I recommend purchasing the largest bulb your budget will allow; larger bulbs will produce two, sometimes three, flowering stems in succession. Deep, dark winter is no time to economize on flower power. Select bulbs that are plump and firm, with no soft spots or signs of rot. If you’re not going to immediately pot your bulbs, or if you intend to give them as a gift, store them in a cool, dark place at around 50 degrees F. Obviously, these are not the conditions found on most retail shelves — another good reason to purchase bulbs sooner rather than later. Bulbs planted now will bloom in eight to 12 weeks, sometime between late January and March. Amaryllis flower best when their roots are slightly pot-bound. 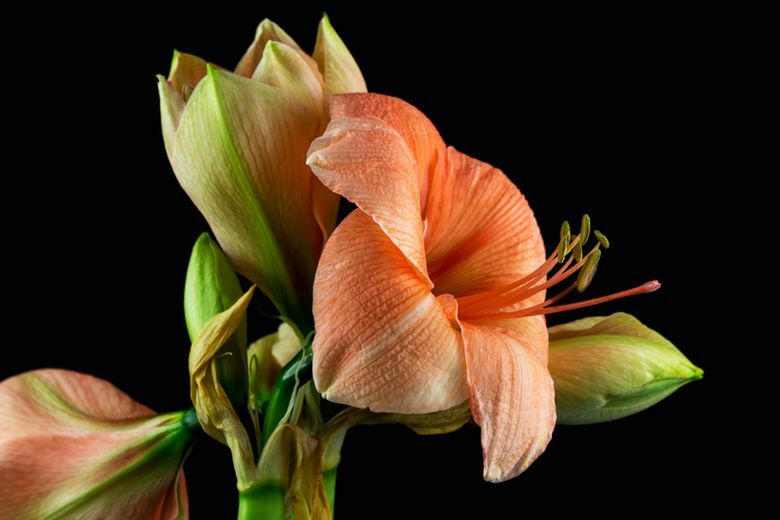 When you’re ready to plant your amaryllis, select a container that’s just 1 inch larger than the circumference of your bulb, or about 6 to 8 inches in diameter. As always, holes are a must to provide drainage. Plant bulbs up to their necks, about three-quarters buried, in a good potting mix. Tap the container lightly on the countertop to settle, and water well. Do not water again until you see signs of active growth. Place your newly planted bulb in a warm spot with good air circulation but away from chilly drafts or blasts of heat. At this point, light isn’t critical, but bottom heat, like placing the pot on a ledge above a radiator or on top of the refrigerator, can encourage the bulb to break dormancy. If you have a heat mat for seed starting, that would be ideal. Or you can just practice patience, and wait. With all my gardening impulses focused on just a few pots, I find the process keenly pleasurable. What can I say? It’s winter. I get so excited when a bright-green bud finally shows its nose emerging from the bulb. Move the plant to where it will get bright light, and provide consistent water from now on. I like to cut a woody stem from the garden and insert it into the pot alongside the bloom stem to provide support for the huge blooms. Once the flowering show is over, strappy green leaves emerge and hold their own nicely among other houseplants.